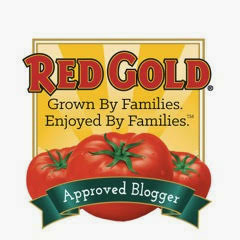 Halloween is coming up next week…and I have a simple, fun food craft project to share with you today! My friends at Peeps recently sent me a box of their Halloween-themed Peeps to play around with in my kitchen laboratory. 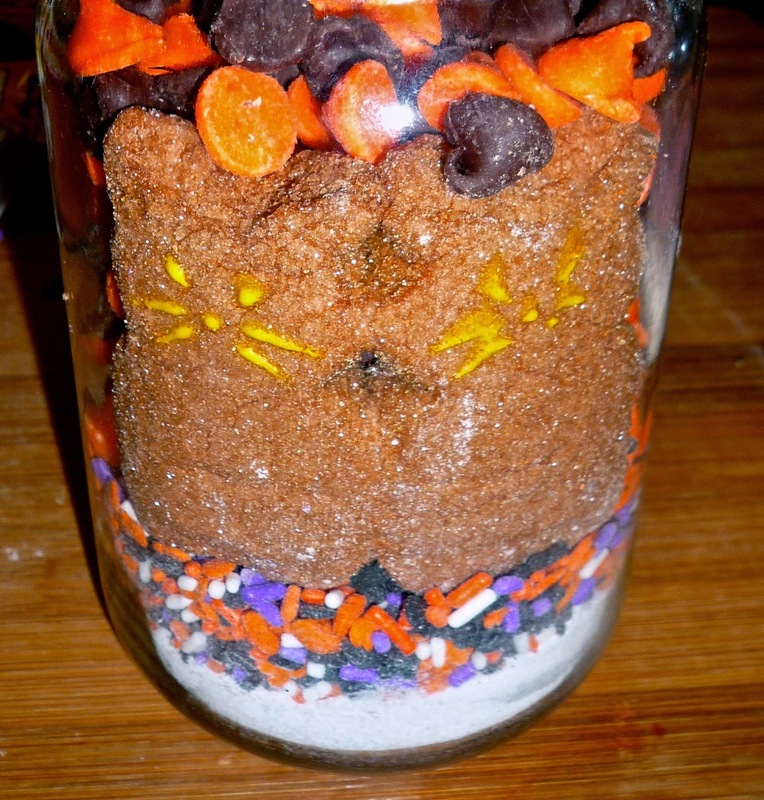 My Spooky Halloween Cat Cocoa Jars feature Chocolate Mousse Flavored Cat Peeps. Even if you’re a bit craft-challenged like I am, I promise that you can make this simple layered jar craft! I saw a recipe for Casper's Hot Chocolate in Woman’s World magazine a couple of weeks ago. Their recipe uses Marshmallow Ghost Peeps and regular chocolate chips. I tweaked things a bit to go with the slightly different theme since I was using chocolate cat Peeps. I flavored the cocoa mix layer with cinnamon and powdered sugar for sweetness…and I used a festive Halloween chocolate chip blend with dark chocolate chips and orange white chocolate chips. It only takes a few minutes to assemble everything and layer it in a screw-top jar. Then, the decorating fun begins! The key is to have a good time and let your creativity shine. I printed the cooking instructions that pair with the cocoa using a free online template and printing it on card stock. The décor on top of the lid is cut from a Halloween card and glued on top, and the ribbon around the lid was recycled from a gift basket I received last Halloween! 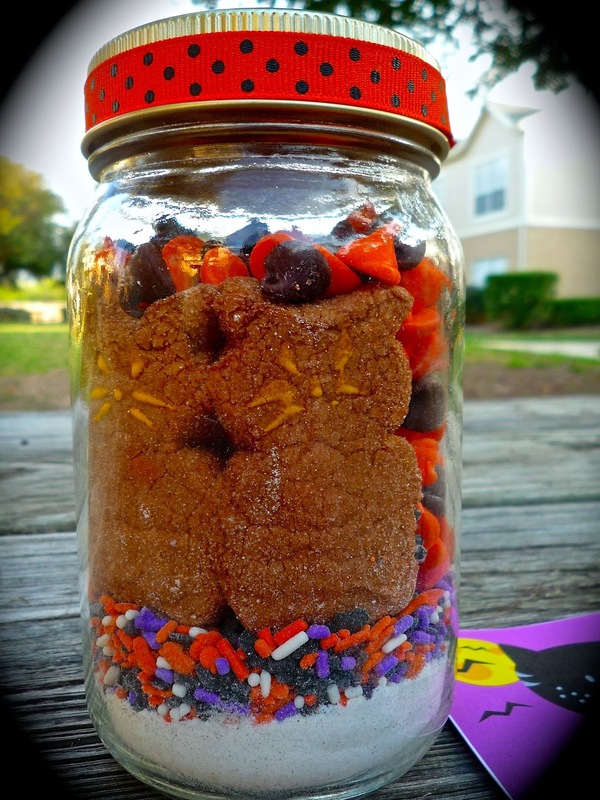 These decorated cocoa jars would make a really fun weekend project for kids to help out with. 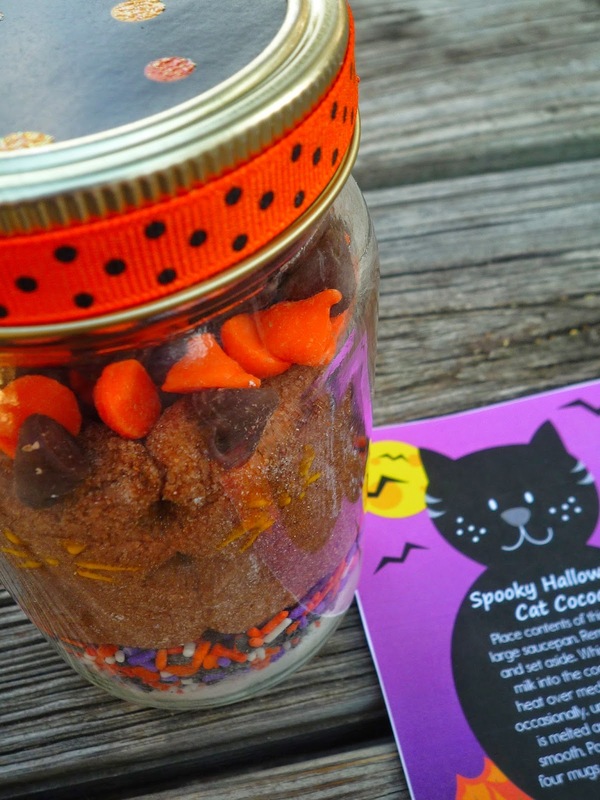 The finished cocoa jars make great teacher gift or co-worker treats….or simply use them as décor until Halloween. Then you can serve the cocoa as part of your Halloween festivities! Step 1: Combine the dry ingredients for the cocoa layer in a small bowl. Stir well to completely combine. 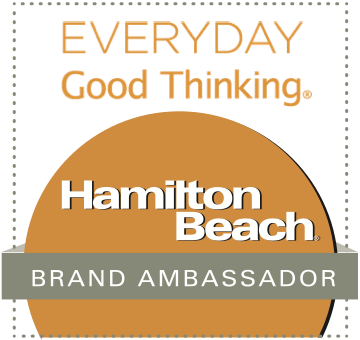 Use a spoon to carefully add the cocoa mix to the bottom of a 16-ounce jar with a screw-top lid. Carefully layer the sprinkles over the cocoa mix. Step 2: Add the Chocolate Mousse Cat Peeps to the jar pressing them slightly against the sides. They best approach is to place two on the facing/presentation side and two others on the back side, facing out. Pour the chocolate chips into the space between the Peeps. The chips should come up to the top of the jar. 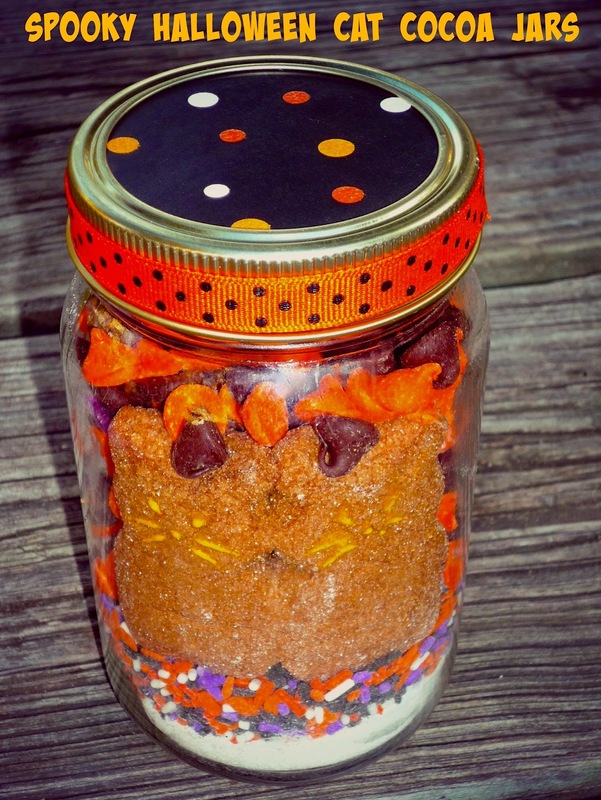 Decorate your jar as desired with ribbons and other Halloween décor. Step 3: For gift giving, prepare a label or instruction card to include with the cocoa jar. You can use labels from the craft store, punch a hole and affix to the jar with ribbon. I used a free online Halloween template and printed it on card stock. The preparation instructions are as follows: Place contents of this jar in a large saucepan. Remove Peeps and set aside. Whisk 1 quart of milk into the cocoa mix and heat over med-low heat. Stir occasionally, until the chocolate is melted and the cocoa is smooth. Pour hot cocoa into four mugs and top with one of the Peeps. 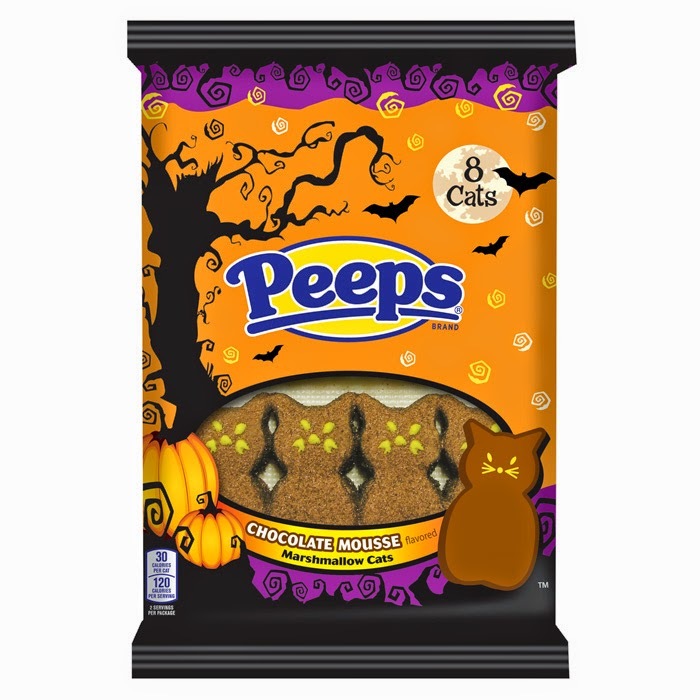 channels tagging @TheWeekendGourm and @PEEPSBrand so we can admire your creativity! Disclosure: Peeps provided me with samples of their seasonal items to facilitate recipe development. All opinions expressed are my own.